At some point in the future this article will refer to a current event. This article contains unquestionable divine truths. Anyone who does question will be branded a heretic. Any and all heretics will be guillotined immediately. ...The Kingdom come, on Earth as we tell you is Heaven. We of intellect have long acknowledged that the Earth's time of existence is finite. Therefore, it is an unarguable fact that the end of the world approaches. However the date of the end is unknown, but it is know that the world will come to an end when a). the cake is the truth, b). the successful division by zero, or c). Weegee decides it time. Numerous experts, among which Winnie the Pooh and David Beckham, have suggested that the world has ended in 1842, but no decisive evidence has been found. Whilst working diligently on secular physics, noted Polack scientist Nicolaus Copernicus noted some oddities of the behaviour of Earth. Thinking he had stumbled upon something noteworthy, he presented his findings to the Nobel Prize commission. They were outraged at his questioning Divine Truth, and cast him out of the scientific community forever. Shortly thereafter, Copernicus was called upon by the Vulcans to face the Inquisition. Copernicus fled into exile rather than facing the council. Unfortunately for him he was a Polack. As such, regardless of where he fled from, noone wanted him anywhere. What Copernicus found was shocking. In his absence, a long shaft had erected itself in orbit of Earth. Vulcans and Humans were being violently probed by its penetrating scanning rays. The seas boiled, the sky clouded over, and a giant man of made of marshmallows stormed through cities. Rampant destruction plagued the globe as the shaft-like probe and the man of soft, white, sticky stuff thrust their horribly gyrating motions upon the globe. Copernicus had no other choice but to hope onto the greatest bird of prey. He coaxed the bird into a dive in which they reached the speed of light (88 MPH). At such extreme speed, the fell through a rift in space-time. and those days shall be the last before the judgement.' "
guillotinings: By far the most popular of all of Hoover's activities, guillotining, was performed daily. Practice would be done on banned volumes before prisoners were brought out. Productions from local thespians became a regular part of it. The actors would portray scenes from the accused's crimes, as well as satirical acts of Copernicus' most outrageous passages. Finally, they'd closed with a silent biblical scene before the last beheading. Afterwards, the guillotine's blade would be cleaned by sending it down upon more volumes of the diary. witch trials: These were weekly events. Witch trials helped draw neighbours together, united against a single heretic. Gathering evidence against the accused required community members to talk with each other, and emphasized cooperation. 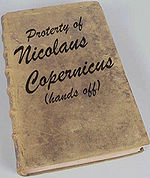 Anyone caught with a copy of Copernicus's diary was deemed a "blaspheming prophet" (and rightfully so). As for anyone accused of possessing powers greater than the members of the PEF, they were branded witch4s and quickly cast away. book burnings: These were often held on town squares, only semi-annually for a long time. Book burnings benefited both the general populous and the PEF. Peasants could deposit their banned books in the fire, therefore destroying any evidence of having possessed such be cleared of the dangers of execution. The PEF disposed of confiscated volumes here, ensuring they did not return to the public. The controversial toast in question; Copernicus contradicted himself on the best way to produce toast-idols, a favourite practice of heretics. These are the results of his two mentioned methods. As everyone knows, the only perfect ancient text (i.e. non-fiction that does not contradict itself in the least) is the Bible. Therefore, all other non-fiction volumes of the older days did. In contradicting themselves, said text lost all credibility. The diary was no exception. Copernicus's diary contradicted itself on a point of the nature of toast in later passages. It was upon the discovery of this that his "theory" of the end of the world was dismissed immediately. Because the people of the world read of its destruction, the Earth's fate is sealed. The fruit of knowledge hath been plucked, and God will punish the sinners who have this useless knowledge by casting them from the Eden of Earth. Had not the knowledge spread from Copernicus to others, the world would be spared. However, anything secular learned or written instantly becomes a curiosity of the many. In the nature of humans to sin, the fall to the temptation of curiosity is inevitable. Degenerates let evil ideas spread like wildfire, while the learnéd ask for more instead of rejecting knowledge as the righteous do. The words of the unrighteous are sinful, darkening not only their souls but also the souls of all who can hear. Thus spread trespasses until they weigh the world into damnation. So it is written, so it shall be. 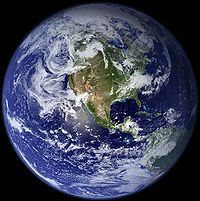 If you wake up and the Earth looks like this, it just might be the end of days. Documentary photograph of the first man-made fire. The only sign you're gonna get. 1:Mankind will harness the power of fire, and let it run rampant upon the Divine's creation. 2:A great city noted for celebrations and gayety will be purged by flood, killing its sinners. 3:The world will be plagued with a sudden and acute respiratory syndrome. 4:The leaders of the world will wage war in the deserts and wikis. 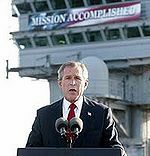 5:Rumors will mount of such wars, even after "Mission Accomplished" speeches are given. 6:Bright pinpoints of light will emerge in the sky by night, led by a larger circular light. Can you guess which of these ladies read Copernicus's sinful diary? 8:Someone will be born unto a teen claiming to have never been pregnant and emphatically denying having lost her virginity. 9:The birth of one who can never be anointed with oils, for such products are too scare in their native home of the Middle-east. 10:Televised evangelists will proclaim their abilities to bestow salvation. 12:People will be born with odd skin deformities, or "birthmarks" on their flesh. 13:Starvation will ravage impoverished countries while the "First World" nations look away. 14:The Earth will shake in an unholy manner, breaking bedrock and toppling buildings, as well as ruining sets of good china. As the channel of God to the people, the clergy are automatically saved. 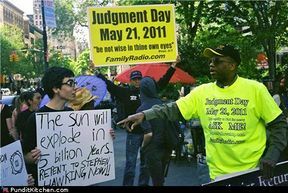 Otherwise, there would be no way for the people to know which of God's laws they were breaking, and thus everyone would be marked unclean and sent to hell at the end of days. The exception, of course, is the clergy of any other church besides the One True Church, for those are blasphemers and should they escape the guillotine before the Rapture, they certain wouldn't make it past the Final Judgement. Also, even those who are clergy of the One True Church but either preach against or simply to not believe in its Dogma are heretics, and thus condemned to an eternity of listening to Greenday in ROT13. Just as clergy are appointed to bring the flow of truth of Dogma to the people, the laws stated therein guide royalty and nobility. With such guidance, they execute anyone who those texts say they should. Thus, divine will through the hands of mortals. Those who have never sinned nor seen the work of evil shall be rewarded with salvation. However, any who reads this article is exposed to the sinfully blasphemous claims of Copernicus, and thus tainted. The tainted have no redemption, unless granted clemency by royalty or nobility. The clergy also has this power of absolution, but can only use it on someone who has truly repented by clearing mind and soul of all traces of the sin. Recollection of the misdeed poisons the mind, and thus so long as the sin (ex reading this article) can be remembered, absolution cannot be granted. However, absolution also requires acknowledgement of the sin, so amnesia does not free anyone. Those who have amnesia cannot acknowledge having done the sin without the taint being returned. It has long been known that sarcasm is a divine gift. As some cannot grasp it, it gives a distinct advantage to the user. God likes hierarchies, because they make categorizing easy; anything that gives someone a clear advantage is appeals to Him. Sarcastic people in olden days were automatically joined to the clergy. However, as their numbers have increased substantially, the exclivistic clergy found a point in Dogma that suggested that the sarcastic are a lower rank than clergy, royalty, or nobles. Thus the law was enforced on Earth, but not to the damnation of sarcastic people, because Dogma clearly refers to specific cases of sarcastic people being saved. This page was last edited on 1 February 2017, at 19:33.